Hurricane Maria made landfall in Puerto Rico on September 20, 2017 as a category 5 hurricane, destroying the electrical grid, severely damaging most buildings, and leaving Puerto Rico in a state of humanitarian crisis. Directly following the hurricane, sonnen re-established connection with our premier partner, Pura Energía, to assess the damage and create a plan to help. After seeing the extent of the destruction on the island, sonnen and Pura Energía created the “Puerto Rico Energy Security Initiative” to support the Puerto Rican people by donating and installing 12 solar-powered microgrids in the areas most affected by the storm. The first microgrid was installed just 6 weeks after the hurricane. To this day, 12 humanitarian microgrids have been installed as part of the Puerto Rico Energy Security Initiative. These systems provide a long-term energy safety net, immediate energy capacity for life-saving services, and the humanizing return to normalcy that access to electricity can create for thousands of Puerto Ricans on a daily basis. 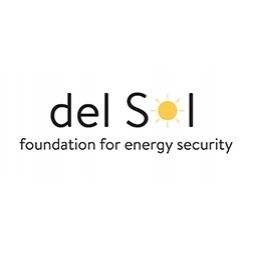 The microgrids donated by sonnen and the del sol Foundation For Energy Security prove the concept that residential scale solar powered microgrids save lives, unify communities, and can also play a crucial role in disaster recovery. Help us create a safer energy security future for the people of Puerto Rico.